His interest in photography started in 2008 when he purchased his first DSLR. He quickly developed a passion for bird and nature photography travelling all over England and Scotland, and to the island of Lesbos in Greece looking for that magical shot. Then in 2014, John decided to make the change to landscape photography. A genre he knew one day would be the next challenge. Since taking up this new challenge, John has travelled across England, Scotland, and Wales chasing the light. From coastal locations to Capital Cities, to National Parks across the British Isles. 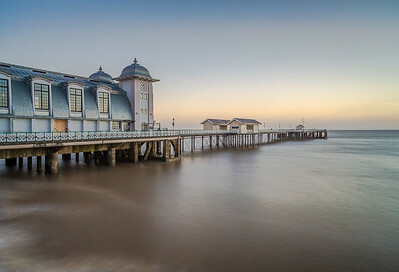 John is an amateur landscape photographer based in Worcestershire, England.